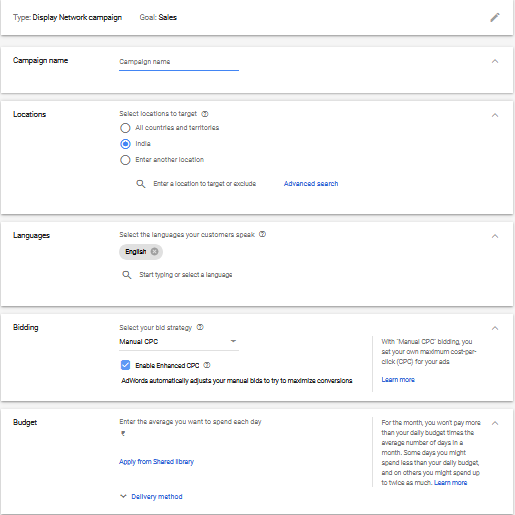 How to create Dynamic Remarketing Campaigns in AdWords? You must have heard that Google Shopping is on the rise. More and more advertisers are detaining budgets to run shopping ads. But, is the shift from Search to Shopping profitable? Not always. However, you can make it productive. And I will explain the “how” in this blog. Dynamic Remarketing Campaigns are the “how” that can help bring in more customers to your website and sell more goods/services. Remarketing enables advertisers to reach all those customers who visited their website. These customers can be those who have browsed a product page, added products to the cart or have performed a potential action that is beneficial to your business. But, where does remarketing dynamic? Dynamic Remarketing is a campaign type in Google Adwords. Google dynamically creates personalised ads on your behalf for every individual visitor who browsed your website. Dynamic remarketing ads are tailored to entice each customer. They include the image of the products they browsed, product prices, and the descriptions. Note: Advertisers can add the images and text descriptions of their choice. Before you can make the most of dynamic remarketing campaigns, there is a bit of prep work you’ve got to get done. You can either use the product feed that you created for shopping campaigns or make a new one customised for the remarketing campaigns. You have to upload this feed to your merchant centre (for shopping advertisers) or business data section under AdWords (for search and others). Note: Learn feed-specific tips and hacks to avoid feed rejection. You need to install the Dynamic Remarketing Tag on every page of your site. You can either do it manually, which is a bit of hassle, or let AdNabu do it for you. This tag communicates with Google and tells Google what shoppers are looking at on your website. It could be pages, products, product categories etc. The remarketing tag should identify different variables. Hence, you (advanced users) can also use custom parameters (product category, value, visitor age etc.) in the tag. Note: You can check your remarketing tags installation status using Google Tag Assistant. Remarketing lists hold details of people who have visited your website previously. With the help of these lists, advertisers create audiences to target them using remarketing campaigns. Note: You can access remarketing list from the shared library under tools menu (wrench icon) on the top right of AdWords dashboard. 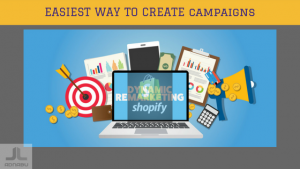 Creating dynamic remarketing campaigns is similar to creating regular campaigns. However, let me walk you all through the process to avoid any confusion. Start by signing into your AdWords account and create a new display campaign. Select “sales” as the campaign goal and “standard” as the campaign subtype. Enter your website details and hit “continue”. Choose your campaign name, location, language, bid strategy and budget. Move on to naming your ad group and them under audience select “remarketing”. Note: If your remarketing lists aren’t ready or you aren’t sure how good they are, use AdWords optimized list. Lastly, create your first dynamic remarketing ad. You can either choose a responsive ad or upload display ads that you already have. Hit “create campaign”, and you will be prompted to upload feed if you haven’t done it already. The principal advantage of dynamic remarketing in contrast to standard remarketing is targeting. Advertisers can target individual product partialities and show them the ads they want to see. Additionally, using ad creatives, advertisers can automate the ad creation with ad templates. This point-blank targeting and quick ad creation trump dynamic remarketing over standard remarketing. For example, a visitor browsed a black Jordan Air. Using standard remarketing, you can show the visitor ads of shoes. But with dynamic remarketing, you show them the exact shoes they were interested in buying. The process of ad creation is simplified as Google creates ads for you from the data you provided in the form of product feed. Because, dynamic remarketing campaigns limit the manual work to ad format selection, and headline/description personalisation. Having ads that are personalised for individuals will render the ads to easily noticeable and helps in bringing back your previous customers to your website. There will be a significant increase in the number of returning customer coming back to the website. Thus, improving the change of making a sale. Dynamic remarketing campaigns are effective in improving your online presence and thus creating your brand awareness. You will see more customers returning to finish the purchases they left midway. Your customers will also turn more loyal as you understand them better and show them what they want to see. Setting up is undoubtedly a bit complex, but worry not, we have your back. From implementing tags to creating audiences, we do it all. Register for a free trial with AdNabu and experience the brilliance of AdWords automation and optimization. 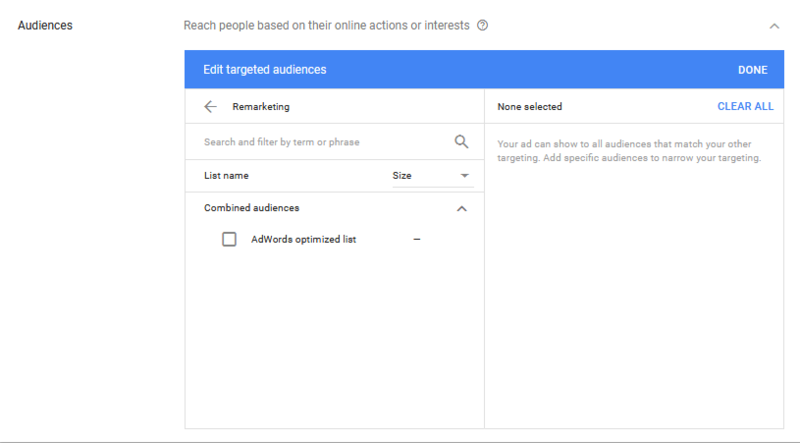 Learn to use Remarketing Lists for Search and to create similar audiences for Shopping ads and various other AdWords topics here. How to create Dynamic Search Ads in AdWords?